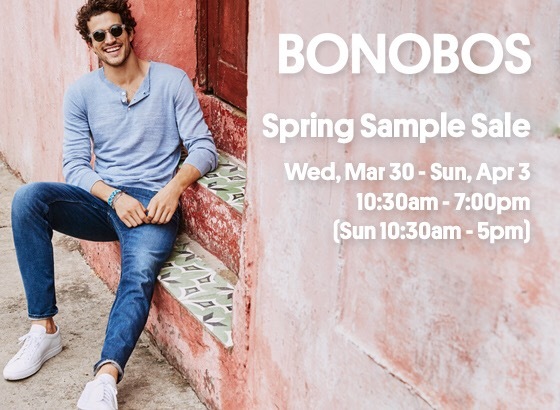 A very last minute additional to this week’s sample sale calendar is Bonobos. 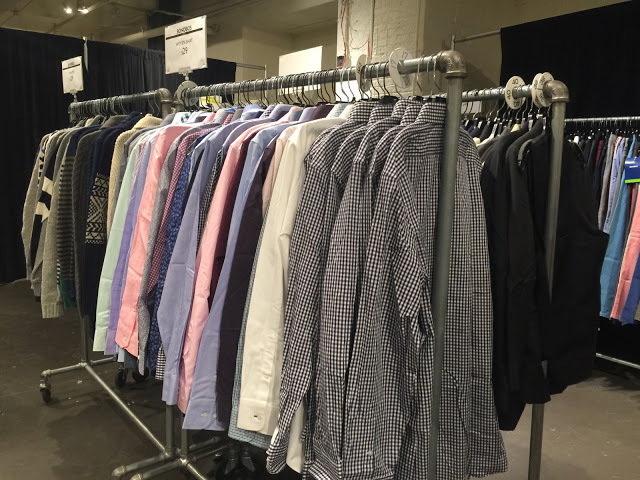 The menswear brand is joining A.L.C at Chelsea Market and let me tell you the price are good, really good! 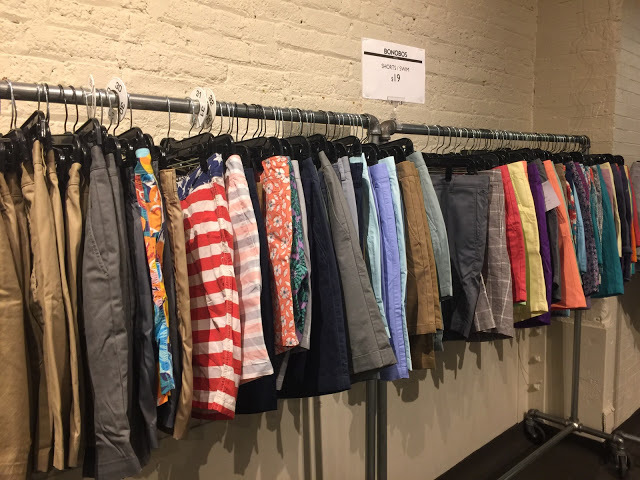 When I went to preview A.L.C’s first ever NYC sample sale I was a little surprised to find almost half the venue stocked with Bonobos gear. 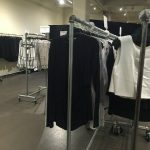 A.L.C sale was originally meant to take place inside their smaller venue but due to the amount of merchandise and to offer a nicer shopping experience the hosts decided to move everything to the larger space. 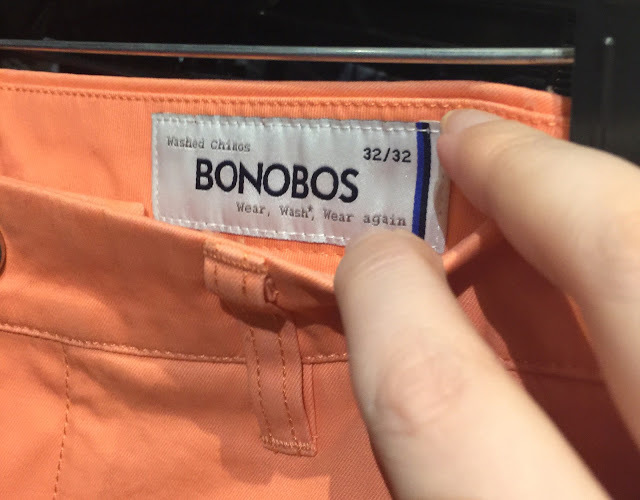 Then they called on their friends at Bonobos to help fill the rest of the venue. 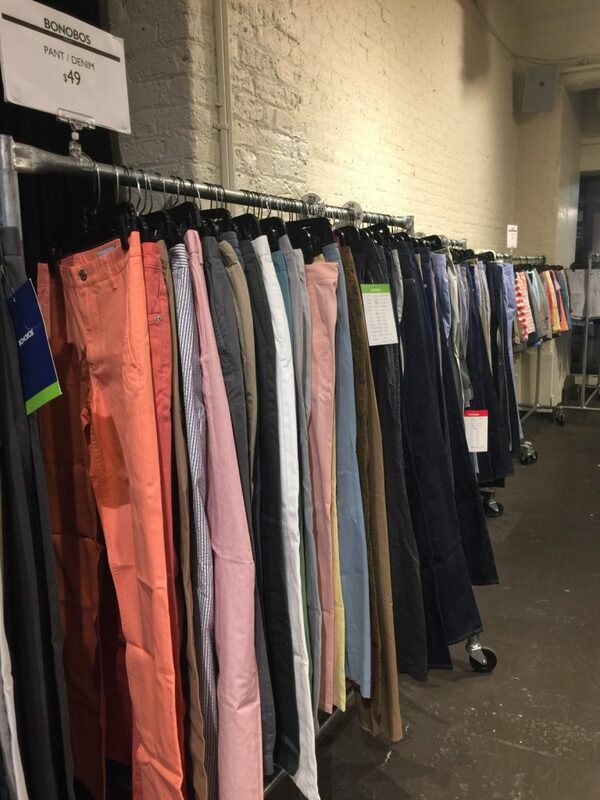 As luck would have it Bonobos sent a big shipment of Spring merchandise. 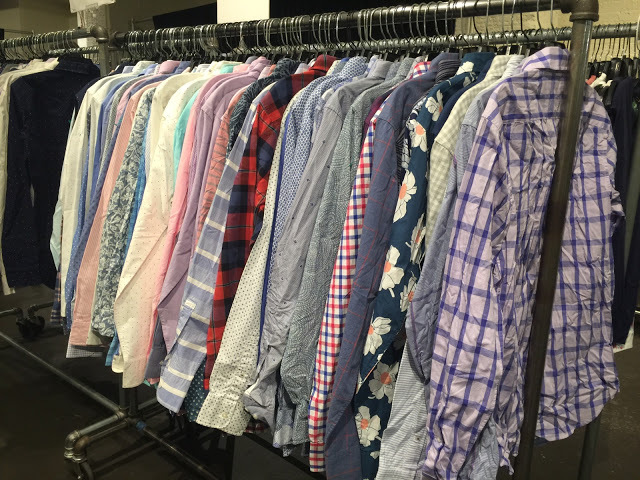 Much of it is still selling in stores and online at full price. It’s worth noting that these were mainly original samples. 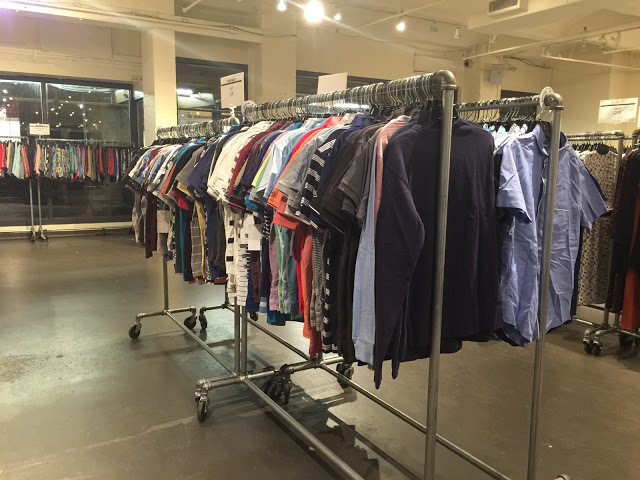 Meaning size Medium shirts, sweaters, and jackets as well as size 32 pants. 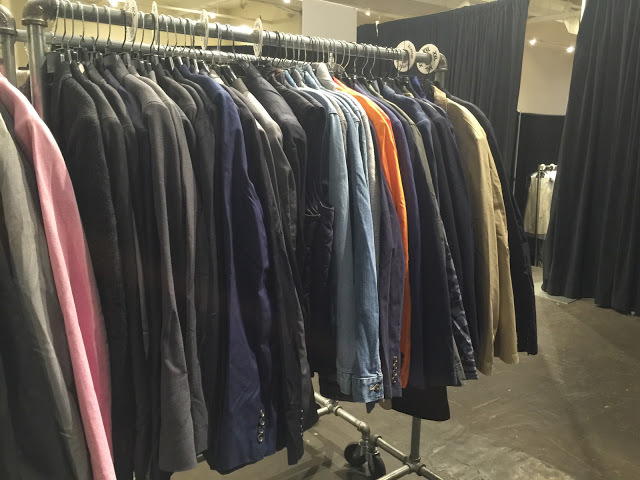 The organizers were expecting another shipment but were unsure whether there would be more sizes. 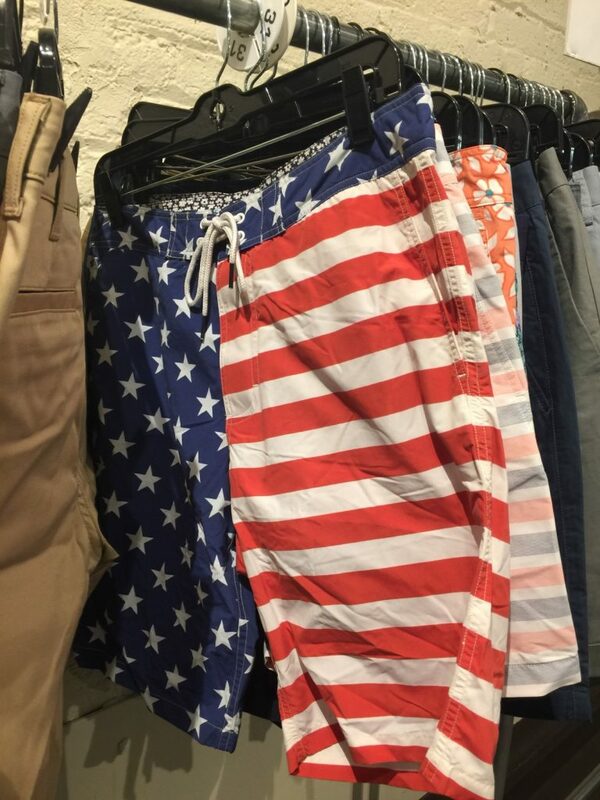 Prices started at $19 for shorts and swimming trunks. 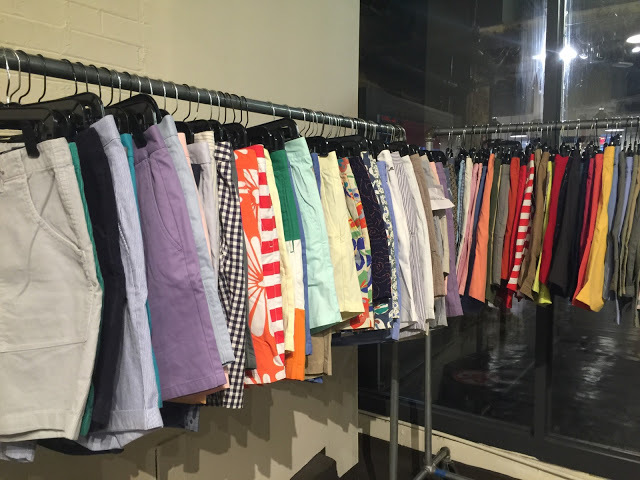 There were so many colorful beach ready options and the sizing was a bit more forgiving. 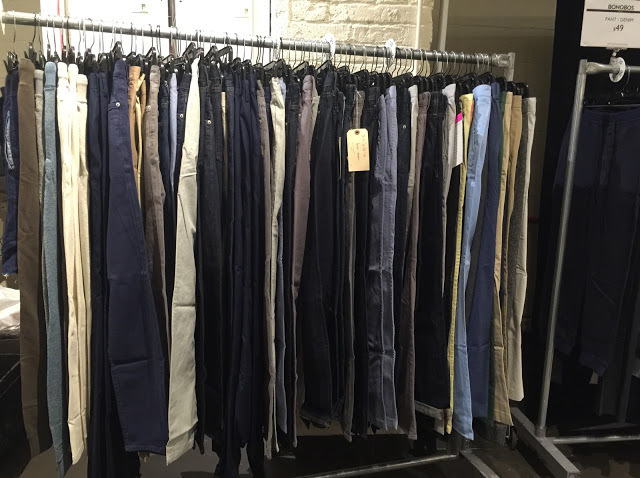 Pants including jeans were priced at $49 but as I’ve mentioned it was predominantly sizes 32 although there was an occasional 28-30 and 33-34. 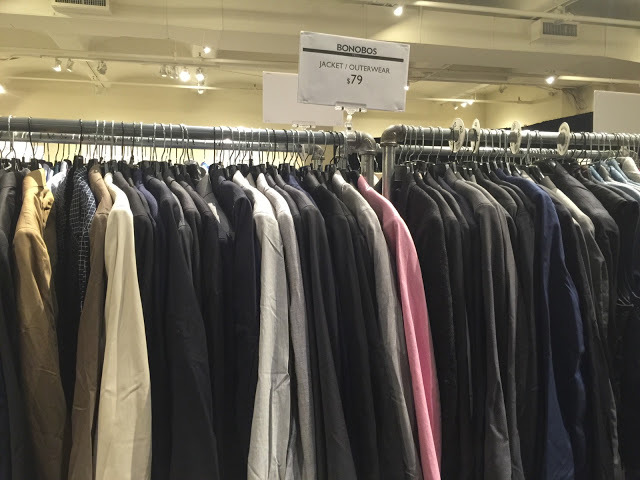 Dress shirts and sweaters were $29 and mostly medium while jackets were priced at $79. Many pieces were a bit crinkly but otherwise in good condition. 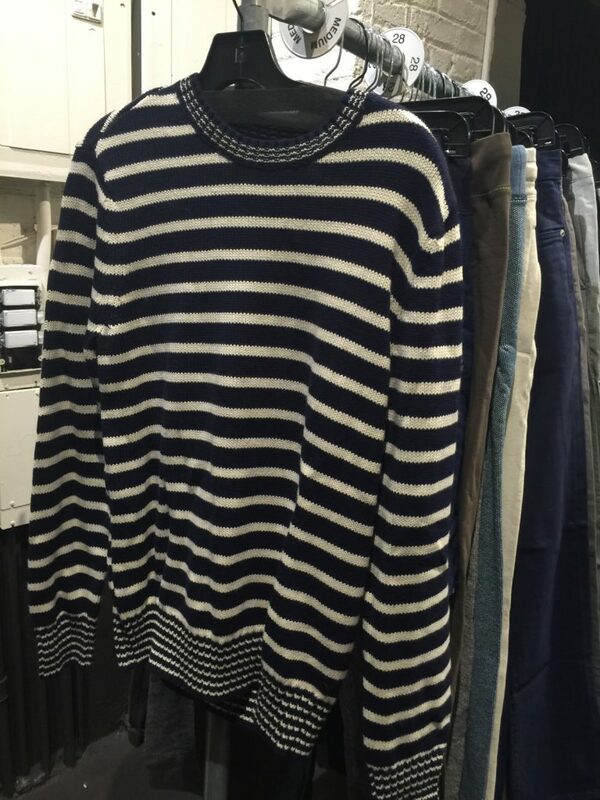 Of course when it comes to original samples it’s always worth it to thoroughly inspect each item. Hello Fourth of July party! 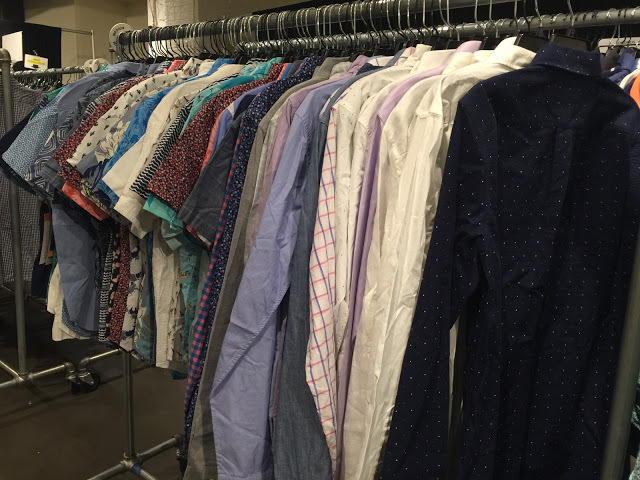 BOTTOM LINE: If you are a guy who wears size Medium or know someone who does then you don’t want to miss this sale. 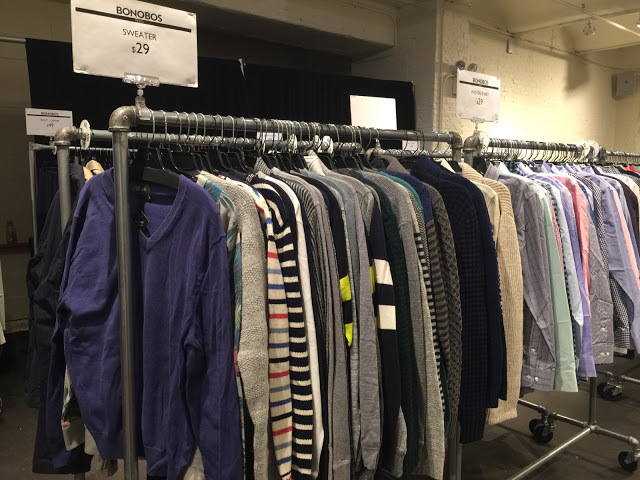 Prices were similar to if not lower than their last sample sale and $29 sweaters in particular are a great bargain. 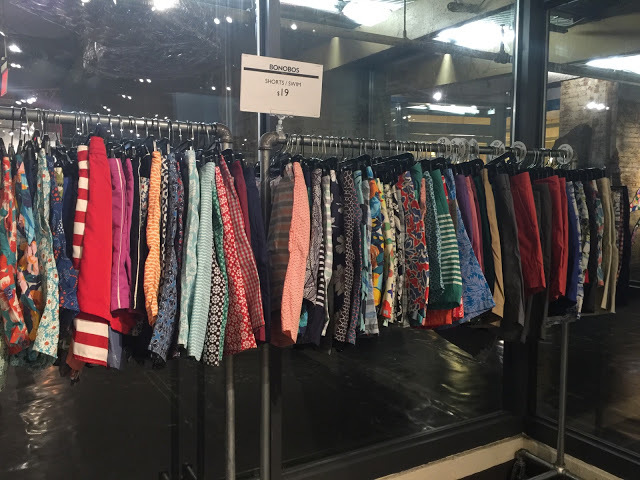 The sale runs through Sunday so you have plenty of time to check out the selection.